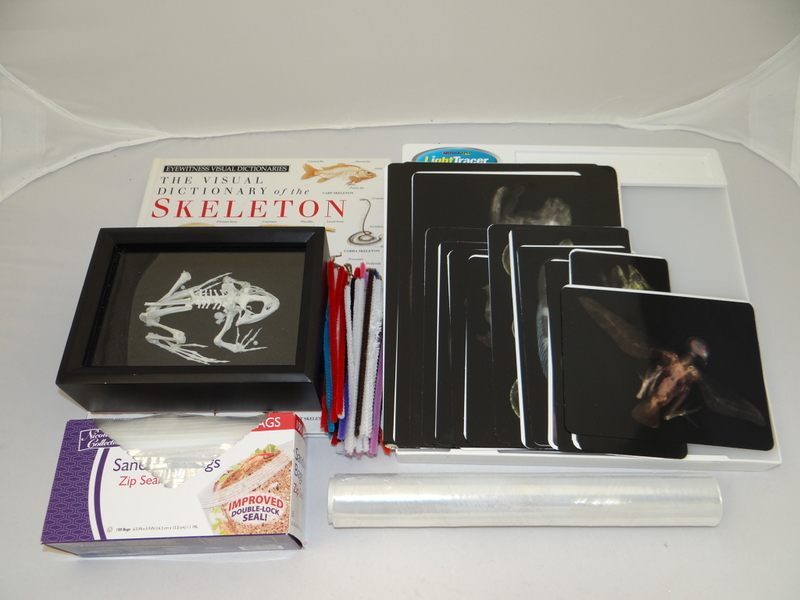 This kit gives learners the chance to look at animals from the inside out. They will find that not all animals are built the same; some have endoskeletons and some have exoskeletons. Anatomy can give clus about how the form of an animal functions... and how form and function help an animal better survive and thrive in its environment. For example, the xray of the bullfrog shows very strong (and perhaps) powerful hind legs for jumping! Additional investigations are included to take learners further into the exploration of animal structure. To better understand the activities facilitated using this kit, view additional image link to the left. 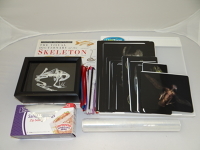 In this kit: The kit includes a light box for viewing xrays and 14 animal Xrays with Identification Guide, Frog Skeleton, pipe cleaners, zip lock bags, plastic wrap, chicken bone/human skeleton diagrams and activity guides. For a complete list of the materials provided, view additional file to the left.